One only has to turn on the TV these days, or go to any internet news feed, to be confronted by horrific images of religious violence in the Middle East. For those who saw the images of the Charlie Hebdo attacks, and the gunman murdering the wounded policeman on the pavement outside those offices, the religious violence seems all around us. So: Is religion to blame for most of the mass violence in the world? 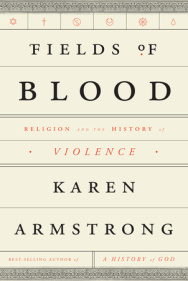 Karen Armstrong’s Fields of Blood (Random House, 500 pages) traces the history of warfare since the invention of settled agriculture. Armstrong, a former Catholic Nun, has become one of the English-speaking world’s foremost scholars on the history of religion. She points out that in hunter-gather societies, there is no real warfare, except occasional skirmishes with nearby tribes, since the entire population is needed for food collection, and there is no agricultural surplus to sustain a kingly priestly, or soldier class. Once settled farming begins, and farmers are producing enough to support more than their own families, a class of rulers, soldiers and priests can emerge. The pace of agricultural innovation is terribly slow, however, so the only way that the new ruling class can expand its wealth is to conquer another nearby area and seize its surplus. That’s the start of warfare. Throughout history, religions have been ideologies that propped up the legitimacy of the ruling class. (Have you ever known of a society where the major religion denied the legitimacy of the ruling class? How did that work out?) Warfare, Armstrong claims, occurs at times of social and economic change, and religion becomes enlisted in the political cause, rather than being the cause. She also argues that the major conflicts of the 20th century were not religious. The first world war was not religious, and Germany didn’t start world War II to spread either of its two recognized religions (Catholicism, and Lutheranism). In the 1930s, Japan didn’t invade it’s neighbors to spread Shinto and Buddhism: China already had Confucianism and Buddhism, Thailand was already Buddhist, and Korea already had Buddhism. The most interesting sections of the book deal with the crusades of the Middle Ages, and the religious ward of the 15 and 1600s, where religion really was at the center of the conflicts. The author has a knowledge of history that leaves me for dead. For anybody who wants to get into the history of religion in a serious way, and is prepared to wade through some serious research, this book is a five star piece of work. For those interested in reading some further reviews before committing to an arduous read, here is one from The Guardian, the New York Times and here is publisher Random House’s description of the book’s subject matter. It’s a meaty read, but it’s worth it. Do your Facebook friends manipulate you into re-posting their views? Do your Facebook friends ever post things that end with “Only one percent of you will have the guts to re-post this. The other ninety-nine percent won’t”? Or “re-post if you support children with cancer? Those who don’t re-post. I suppose you don’t really care and you are not my real friends.”? Some of my friends do, and I don’t like it. Sometimes I would re-post, except I resent being TOLD that if I don’t re-post stuff like this with these emotionally manipulative last lines, then I don’t have guts, or don’t care about kids with cancer, or don’t care about soldiers wounded in war, etc. I don’t intend to re-post these manipulative things on principle. The principle is, don’t try to guilt me into parroting your posts. I can decide for myself what I want to re-post. This is snarky emotional bullying. Here’s a suggestion: NEVER re-post things that are based on guilting you into being a sheep. You have a mind of your own. Your friends shouldn’t need to manipulate you into supporting their social views or their favorite charity. If you feel strongly enough about something to re-post on your own, or you support a certain charity on its own merits, good. If not, why do your friends need to guilt you into being their sheep? Instead of re-posting their posts, try cutting and pasting the text this blog entry into their Facebook post! I’m NOT suggesting that if you don’t you’re a bad person. That would be against my beliefs. But you could try it – if you feel the way I do. Should the state kill you for being an atheist? In seven countries, there’s a belief to do with religion that can land you in jail, or get you killed. It’s not that you belong to a different religion to the rest of your country, or even a minority group within a religion. Those things can get you killed in some places, but I’m not talking about them. The Washing Post (see map above) describes the case of a Saudi Arabian, who was arrested as he changed planes in Malaysia, deported back to Saudi Arabia, because he had declared himself to be an atheist. The article includes a map showing the seven countries where you can die for being an atheist. It’s time we asked a simple question. Is there any place in the 21st century for laws that allow a government to jail or kill a person just because they stop believing in god, and have the courage to say this publicly? Why should this be happening? Here is a Muslim author arguing that blasphemy charges are un-Islamic. The Huffington Post provides a list of 13 countries where publicly declaring that you are an atheist can get you jail or death. It seems ironic that I saw the new Planet of the Apes movie in the week that the news has been dominated by the Israeli-Palestinian conflict and the shooting down of a civilian airliner over the Ukraine. An no I’m not comparing any side in this conflict to apes. What I am comparing is conflict to conflict, mistrust to mistrust, and the sad tendencies of groups to fall into factionalism, and coups. of loving humans more than his own kind. Does any of that sound familiar? Americans who are old enough to remember the civil rights era might recall an insult flung by whites at whites who supported the black struggle for equality. The film makes us primarily see the conflict through the eyes of the apes. After all, why should apes trust humans who kept them in cages and experimented on them? And how should apes respond when a group that has oppressed them in the past wants to restart the generation of electricity – a thing that gave humans so much power in the past? As a film, the ‘motion capture’ technology that takes the movement of humans and translates it into animated apes is clever. I generally dislike films that rely too much on special effects to compensate for not having a decent script. This film doesn’t have that problem, although there are more ‘action’ scenes – smash, bash, crash, boom – than I usually like in a movie. Unfortunately, the females get relegated to the roles of grieving parents and caregivers. No female character makes a decisive change to the direction of the plot. All the ‘serious’ roles go to men, far more than in the average Hollywood movie. All that being said it’s a good movie, perhaps very good, but not brilliant. Note: this is my blog site. For my site about thesis editing services, go to the RichardSnowEditing site. One of my friends is in Nairobi, in Kenya, This her experience of going to church there. Very different to Australia. At last The Very Long Walk is but a distant memory and I’m walking properly again. It’s Sunday, so off to church we went, along with a fairly high proportion of the Nairobi population. Religion is big in Nairobi. Historically, European colonialism and Christianity went hand-in-hand, and for better or worse, much Western aid is delivered via the churches today. Visually, the church is everywhere. Large, smiling, charismatic pastors smile out from large billboard hoardings in advertisements for Hillsong-like evangelical churches . The slum areas along the main roads out from Nairobi are liberally sprinkled with small, congregation-built shacks with colourful Biblical names. Gigantic white marquees act as pop-up churches, clearly visible from the air. Hymns are often played in the supermarket and there are several Christian radio stations. The matatus (passenger mini-buses) and buses often sport religious names and slogans. 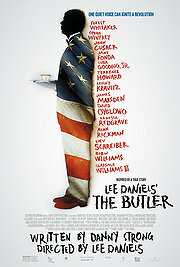 The Butler: preachy propaganda or historical truth? I saw this film just after taking a course at my local college about the history of the civil rights movement in the US. You can read the demeaning treatment of blacks in segregated facilities, or about lynchings (which often involved much grotesque tortures than just hanging someone), but movies have the power to make intellectual issues hit home emotionally in a way history books can’t. Cecil Gaines was born in the 1920s,and became a butler who served eight presidents, from Eisenhower to Regan. One of his sons dies in Vietnam, while the other joins the Black Panthers. The conflicts between the family members about how Gaines serves the white man, and has to pretend to have no opinions, while one of the sons decides to fight the whites with violence by joining the Black Panthers, must have torn many black families apart. The film repeatedly comes back to the issue of equal pay. 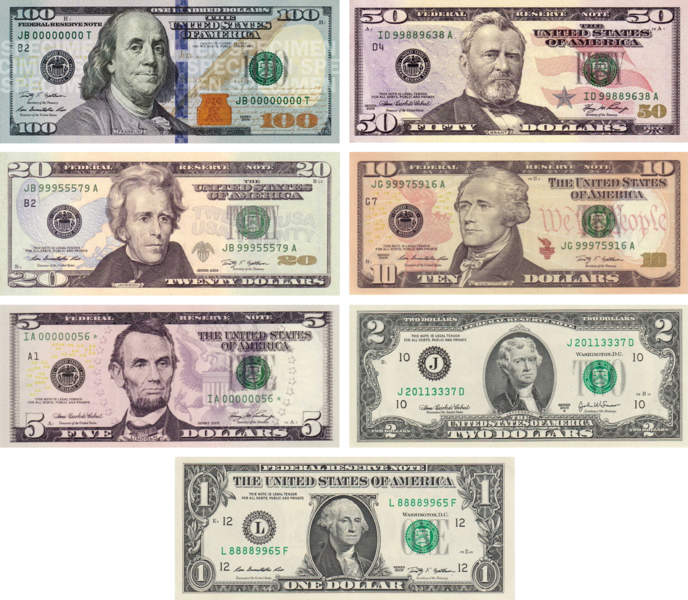 The black staff in the White House were paid 40 percent less than the white staff, and various “progressive” presidents, (including Kennedy) did nothing to change this. I found the film’s subject matter often depressing, even tho the film attempts to end on an up-beat note, showing the elderly Gaines witnessing the election of the first black president. It’s a well-made film, and may give some non-Americans a bit of a glimpse into race relations and how they have or haven’t changed over recent decades. Think of it as a Trojan horse. Apparently harmless, it takes key myths about the land of the free and inflicts an impressive amount of damage. Manipulative and preachy, The Butler is redeemed by a sensitive performance from Forest Whitaker and the undeniable power of the events it depicts. It would be hard for a film to deal with the situation of black people in America from the 1920s to the 1980s and not show that some were not as free as others. It’s good film, but I don’t think I’d see it twice. Did it seem to you like propaganda? Was it “Oscar bait?” I’d be interested to hear what others thought. Feel free to leave a comment!